Logan-Palco rattled off six straight wins to open the 2015 season, but lost two of three down the stretch and missed the playoffs thanks to lopsided losses to Atwood-Rawlins County and St. Francis. In spite of the transfer of Palco standout Riley Nyp to Plainville in the offseason, expectations entering 2016 remained the highest in recent memory. Those expectations were in large part to the return of quarterback Josh Van Laeys, and running back David Thompson, along with five other starters. After rolling to a 4-0 start against teams that combined for just one win this season, the Trojans were looking for a signature victory. Logan-Palco may have gotten just that in a 50-28 district victory over two-time defending 8-Man II champs Victoria on Friday night. Van Laeys and Thompson again led the charge offensively and the Trojans got another great game on defense from leading tackler Blake Bouchey. 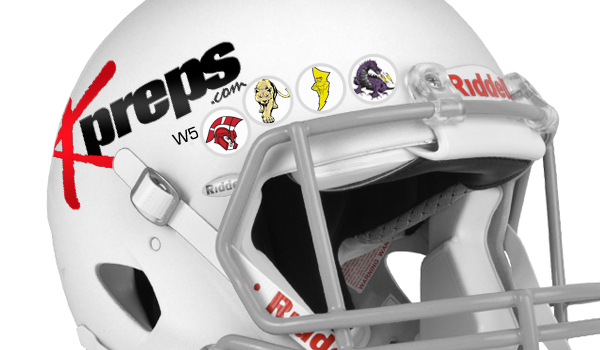 My helmet sticker goes to Tom Nickelson and the Pittsburg Purple Dragon defense. The Dragons (3-2, 3-0 versus Kansas) have not allowed a point against Kansas competition in 2016 as they have posted three shutouts. Their only losses came to teams that were state powers and ranked at the time in Missouri Class 4, Harrisonville and Webb City. Friday, the Puprle Dragons dominated last year’s 4A-I state runner-up, Andover Central, 52-0, at Hutchinson Field. Although PHS has suffered a pair of losses, their new independent schedule will get them ready for 5A competition in the 2016 playoffs. Pittsburg travels to Carl Junction (Mo,) in Week 6, one of the top teams in Missouri Class 4. Santa Fe Trail likely wrapped up the Pioneer League title with a late touchdown to beat Wellsville, 26-21. Charger back Peyton Newton scored with 16 seconds left on the clock to give his team a 26-21 lead. Santa Fe Trail held leads of 12-0 in the first half and 20-8 at halftime. Wellsville scored a pair of touchdowns to take a 21-20 lead with 3:27 remaining before Newton’s winning score. Newton finished with 222 yards rushing and a pair of touchdowns on the night, and now has 1,018 yards and 13 scores on the season. Jayson Duncan has built the Chargers into a consistent program and contender in Class 4A-II. Santa Fe Trail has posted a 20-8 record since the beginning of the 2014 season. The Chargers were just 10-80 in the ten seasons prior to 2014. That 2014 season ended with a loss to Columbus in the state semifinals. Last season, the Chargers posted a 6-5 mark and reached the 4A-II quarterfinals. Reaching the playoffs for a third consecutive season will be a challenge as the Chargers were placed in a district with traditional powers Holton and Topeka Hayden. Phillipsburg coach J.B. Covington and the Panthers had a challenging week when Covington missed several days for surgery for malignant melanoma on his face. Still, the Panthers didn't miss a beat in a 56-14 victory versus Ellis. The Panthers took over in the second quarter and had a running clock virtually all second half. This season's team doesn't have the individual talent of last year's 2-1A title squad. But Phillipsburg has excellent skill players and a new line that's played well. The Panthers have opened 5-0, including victories versus against four teams with winning records. The Panthers have won 12 straight contests, now the longest current run in Class 3A after Silver Lake ended Rossville’s 32-game winning streak on Friday. Research shows that high-protein diets (in balance with other nutrients) are safe when no contraindicating health issues are present, and are an important factor for optimizing performance and recovery. The basic protein intake rule of thumb for athletes is about 1.4-2.0 grams per pound of bodyweight, meaning a 150-pound athlete requires approximately 210-300 grams of protein per day. A high-protein diet improves performance, immune system function, satiety, metabolism, and weight management. In other words, only a small amount of protein is necessary for survival, but much more is needed for the body to perform optimally. For more information on how to adjust training volumes contact chris@athleticsi.com.